Justice Minister says that the terrorists who carried out the bus bombing in Bat Yam should be ignored in favor of peace talks. "Those who tried to harm us today are not those with whom we are conducting or will conduct negotiations," she insisted. “We will not allow criminal terrorists to determine Israel's future. 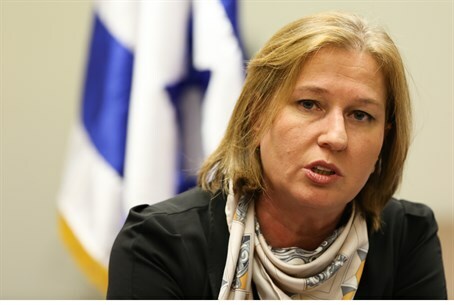 Israel continues to act against terrorism and in this case too, if it is indeed terrorism like it appears, we will do what needs to be done,” added Livni. Abbas has refused to recognize Israel’s right to exist as a Jewish state and has openly declared that a future Palestinian state will have no Jewish presence, military or civilian.